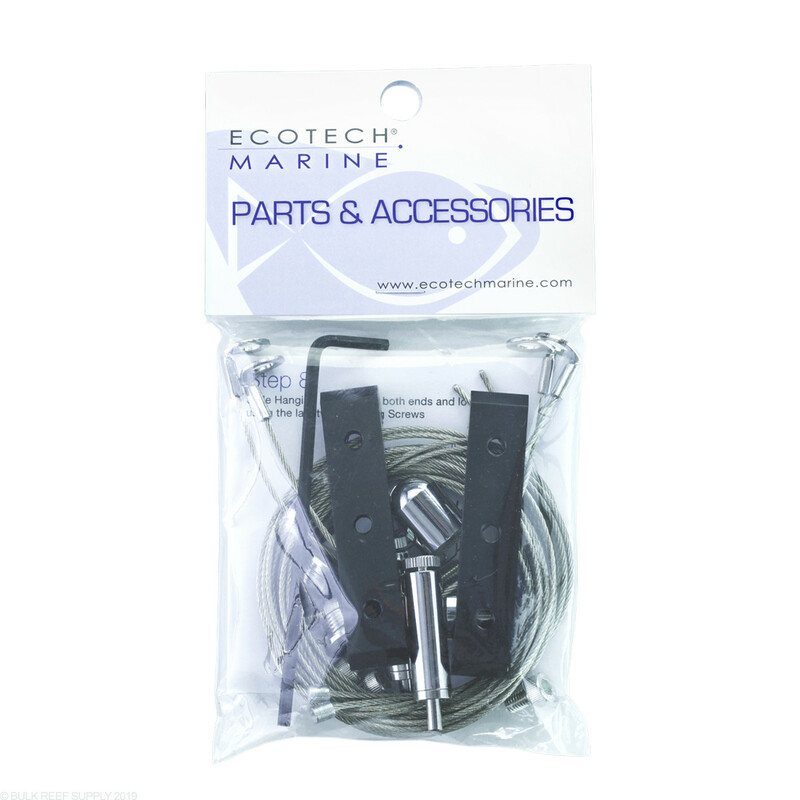 The XR717 RMS Hanging kit allows for simple hanging of the RMS Tracks. By hanging the tracks you can easily adjust the height of the lights above the tank. 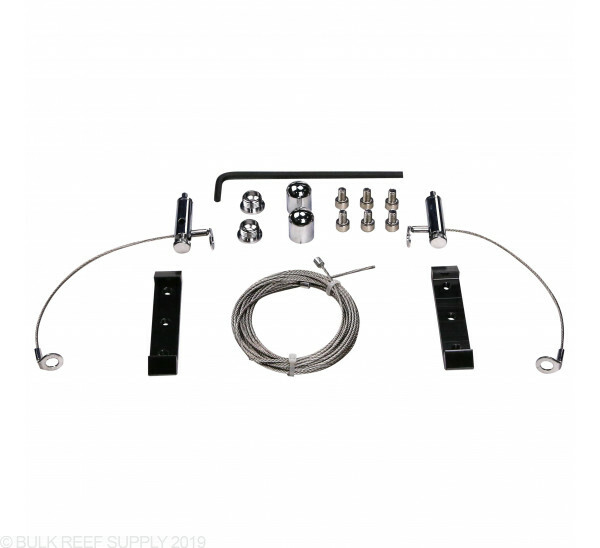 Kit includes brackets and hanging hardware. The entire ceiling hanging kit from EM is just stellar!!! 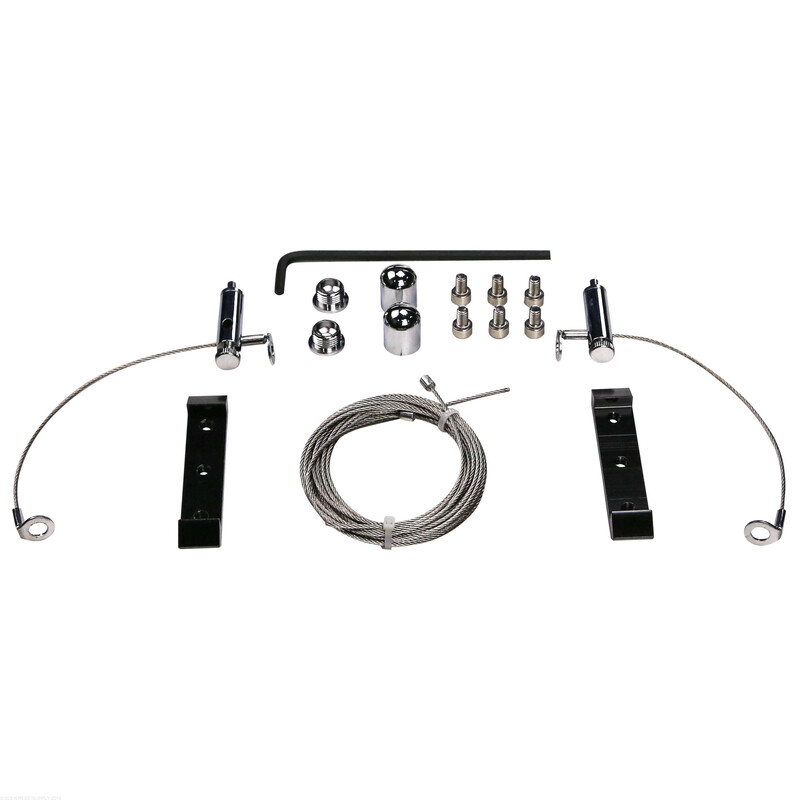 This kit is easy to install and only requires one person to hang a RMS track. For a RMS rail that is 70.5" with 3 radion xr30 pro lights how many hanging kits would you need to not make it bow in the middle? And is the rail made for more hanging kits? Thanks! Thanks to the adjustable slide function of the rails, the hanging brackets can be located pretty much anywhere along the rail, allowing for more even weight distribution. 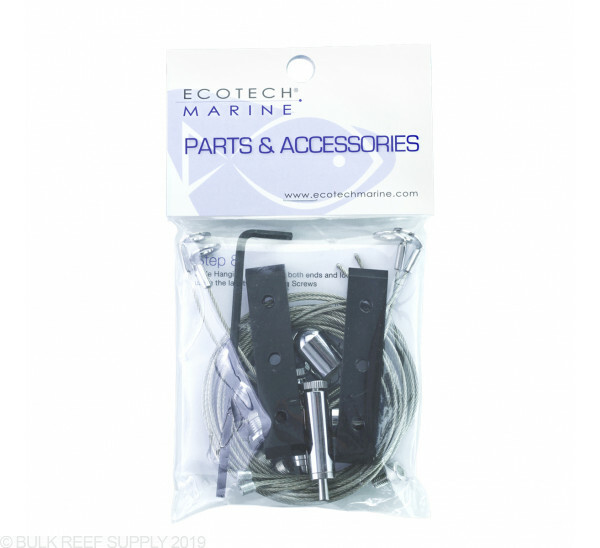 You could also use more than one hanging kit, but with proper placement, and the fairly rigid material of the rail, this may not be necessary. How high can you hang this? meaning how long is the hanging wire that comes from the ceiling? Thanks.